Hello and welcome! I’m glad you stopped by my gaming site. Here you will find information about me, my live stream, and video games. 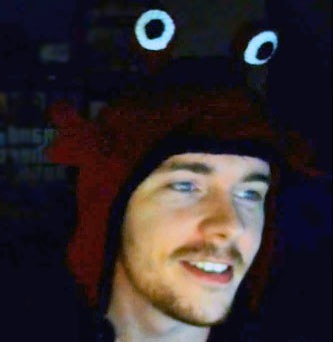 I am Hermit_theCrab, a twitch.tv video game streamer and YouTuber coming to you live from Virginia. I have been gaming for over 30 years on various platforms. I believe my love for gaming started with NES, and still continues to this day with PC gaming. While I own and enjoy playing both the PS4 and Xbox One, my favorite will always be PC. I started streaming so that I could chat with other gamers and highlight my gameplay. I enjoy interacting with my viewers, giving game tips, and talking strategy in chat. I find myself playing all types of games, but I have the most fun playing sports and FPS games. Find out more about the games I like to stream and the equipment I use for my game-play on the gaming page. I tend be a very sarcastic person, and can sometimes come off as being a jerk. If this offends you, please try to keep in mind it is in all good fun. If you enjoy a laid back environment where we can have some laughs and chill, then this is the place for you. If you haven’t had a chance to stop by my Twitch stream and YouTube channel, please check them out. If you are a current viewer, thank you for your support!